Building Android project needs the Android SDK, if you don't have it, you will get this error when import Gradle Android into Eclipse. Support for clients using tooling API version 1.5 is deprecated and will be removed in Gradle 3.0. You should upgrade your tooling API client to version 2.0 or later. WARNING: The `android.dexOptions.incremental` property is deprecated and it has no effect on the build process. 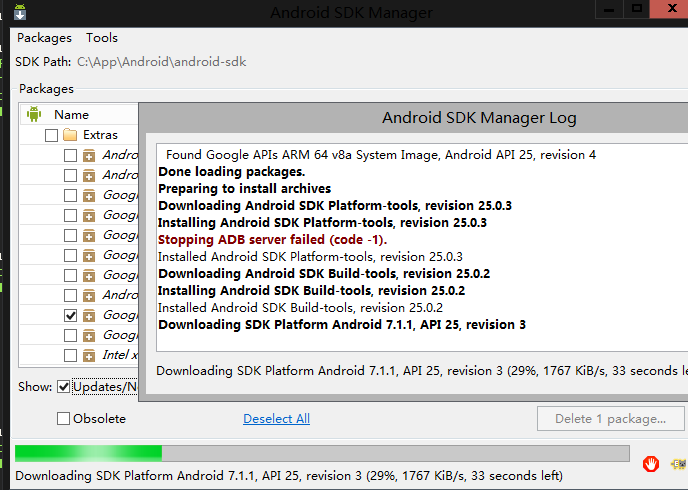 Be patient, you may wait very long because the Android SDK is a huge package, the manager will download them one by one.